As we’re impatiently waiting for more details on the latest Leica cameras to hit the market, a slightly older version of a Leica camera is making headlines too. A rare 0-Series Leica officially (and once again) has become the most expensive camera sold to date, as Leica Rumors reports. Forget the $42,000 Hasselblad digital camera, the 0-Series Leica fetched a hefty $2.79 million (€2.16 million), beating last year’s record of $1.9 million, set by the same model camera, at the very same auction in Vienna. In less than a minute, the bid shot up to €1 million, and closed after a mere 4 minutes. So why does this 1923 camera command such a high price? For starters, about only 25 of them were produced. 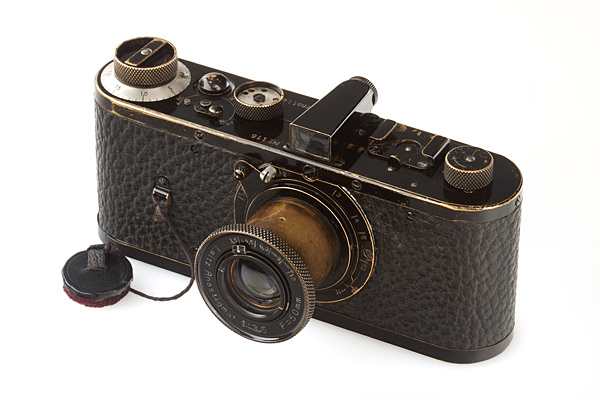 The 0-series (or null-series) cameras were developed as prototypes, testing the market a couple of years before the Leica A was introduced. Only 12 of these cameras as known to still exist. The recording breaking camera in question is in fully working condition, with the bidding for it starting at around $386,000. Last year’s record is said to have been set by a “private Asian collector”, while this year’s bidder has chosen to remain completely anonymous.